Seasonal changes can sneak up on us real fast! 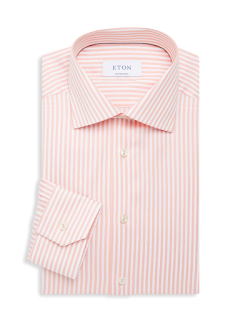 Springtime is a great time to allow your wardrobe to get lighter and brighter. Allow yourself to freshen up your winter closet with a few must have staple pieces that will bring you into spring and summer weather. Here are a few our our favorite looks for this year’s men’s spring fashion! As we transition from cooler to warmer weather, invest in a classic suede jacket to keep you warm through spring’s unpredictable climate. 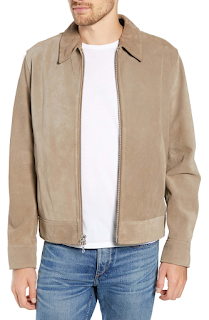 Suede jackets are becoming more and more popular this season and essential when it comes to casual wear. Buy into an effortless, subdued look with a new versatile suede jacket. Springtime calls for bold colors and statement prints! Time to shop fun prints to mix and match with a neutral blazer or jacket for a casual or more sophisticated look. 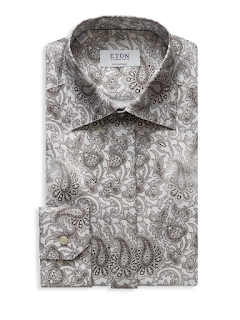 Eton’s wide variety of classic, timeless prints and patterns for men’s ties, pocket squares, and dress shirts is a great way to update current dress shirts for the new upcoming season. 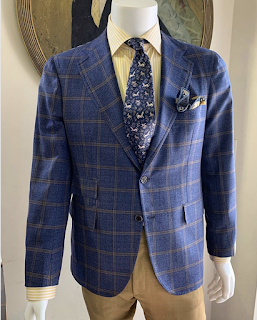 Checked Cashmere Blazer by Orazio Luciano at Liles Clothing Studio This blue checked blazer is a one of a kind statement piece that every man should invest in this spring. Made in Italy, this subtle yet bold blue color will have you set for spring and summer, while the classic checked pattern will remain versatile for many years to come. Schedule a consultation and check out Orazio Luciano’s collection in-store and online at Liles Clothing Studio. As warmer weather approaches, slip-on suede ankle boots will begin to make their debut as a statement piece yet classic look to complete your look. 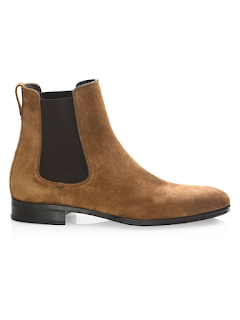 Chelsea boots are extremely versatile in nature, proving their existence and need to be apart of your spring wardrobe. Whether you dress them up or down, their comfort and ease will create an effortless, relaxed look and fit. Lightweight sweaters are major springtime essentials! Invest in a classic striped cotton sweater like A.P.C’s to layer with or style with a neutral jacket for a more casual look. Horizontal stripes and achromatic colors are very versatile and easy to mix and match with other pops of color. Lightweight sweaters are important when layering during the spring so you don’t get too warm! We hope we have inspired and introduced you to some of our favorite men’s essential wardrobe pieces for the upcoming spring season! Whether you need to spruce up last year’s spring pieces, partake in a little closet cleaning, or learn how to style what you already have, it is always our pleasure at Lily Winston to help you find these essential wardrobe pieces that work for you and fit your lifestyle. Please never hesitate to contact the Lily Winston Team with any questions!